Tree removal service is an important part of maintaining a safe and functional outdoor environment for commercial and residential properties. There are several reasons why a tree would need to be removed, from storm damage and insect infestation to power line obstruction. Trees are not only subject to health problems, they can pose safety concerns as well. 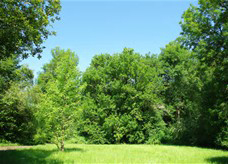 Generally, trees are removed to enhance a property’s safety, value, utility, and appeal. Here at Complete Tree Care, we use quality equipment and strategic planning to safely remove trees from residential and commercial properties. Our experienced and professional tree specialists have the tools, training, and knowledge to solve your tree issues correctly, the first time around! Call our office at 317-783-2518 to request a free estimate for tree removal service in Indianapolis and its surrounding neighborhoods, today. When you have a tree that needs to be removed, be sure to call Complete Tree Care for professional tree services you can trust. As a family owned and operated business, we understand the value of a dollar. It is for this reason, we offer the most honest and competitive prices for tree removal and tree services in and around Indianapolis. Call our office at 317-783-2518 and speak to a knowledgeable representative about tree care and tree removal for your property, today.